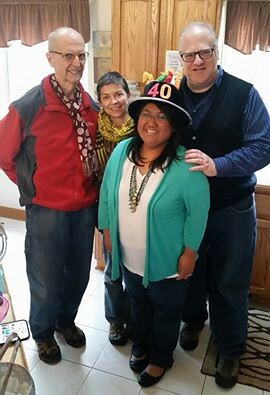 Event Recap: 40th Fiesta Party! 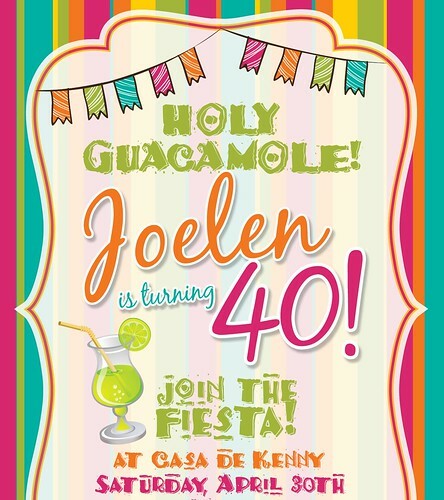 Señors & Señoritas, grab your sobrero and SALSA over to Casa de Kenny... Join us as we celebrate with a festive birthday fiesta! 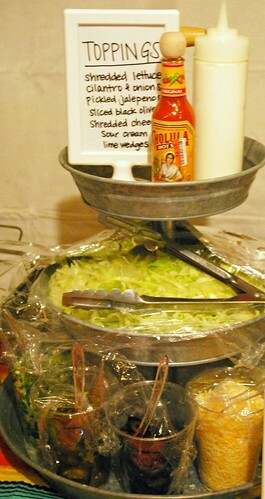 It's NACHO ordinary fiesta - the salsa will be hot, the margaritas will flow, it's great to be 40 years old, you know! 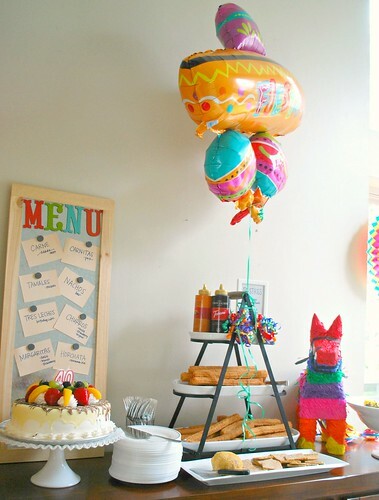 We'll have a Mexican inspired feast, plenty to drink, a bounce house for the kiddies, candy filled piñata, possibly some karaoke (you know how she loves to sing) and a great time for everyone in store. 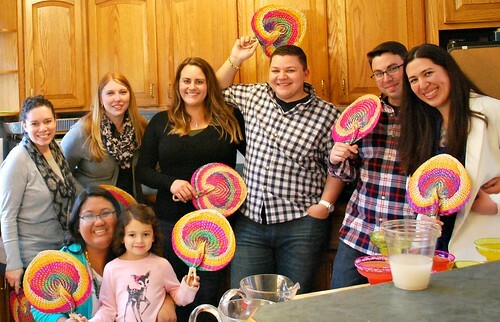 TACO 'bout a party! Hope you can make it! 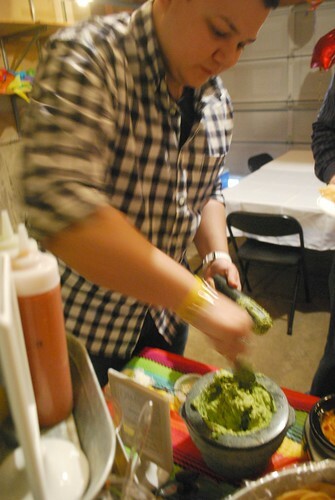 Patrick also insisted to have the party catered so I can enjoy some time out of the kitchen lol. 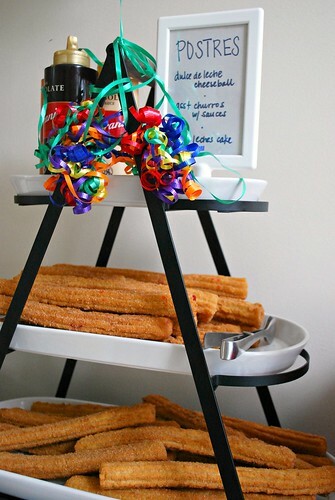 Since it was a Mexican Fiesta, he had the party catered by our favorite local Mexican restaurant, Alcapulco Mexican Restaurant. 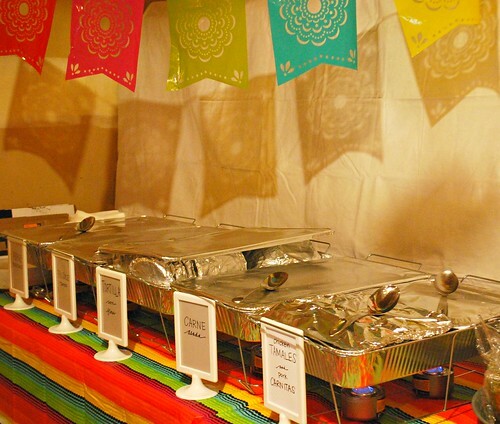 They did an AWESOME job providing our taco bar which included: rice, beans, carne asada and chicken tamales. We also had some pork carnitas from another local Mexican place especially known for their carnitas, Carnitas Don Roy. 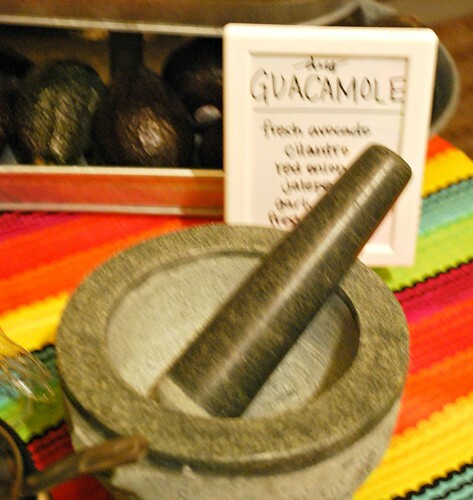 And what's a fiesta without salsas?! 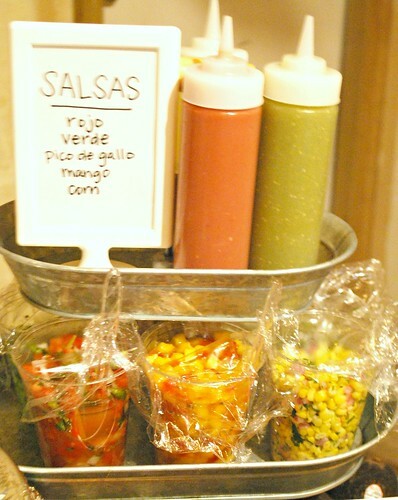 We had a good mix of salsas too which added lots of fresh color and a nice variety of flavors from mild, medium to extra hot! 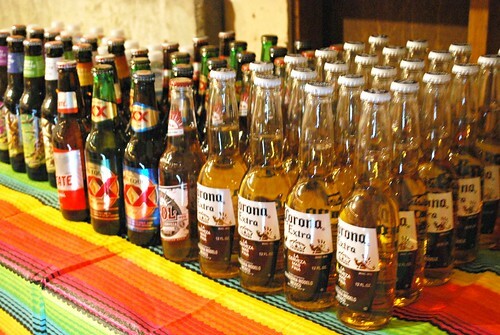 And of course, we had a nice sampling of hard ciders and Mexican beers... olé! For dessert, we had a buffet table set up to hold all our sweets. I loved how festive this looked! 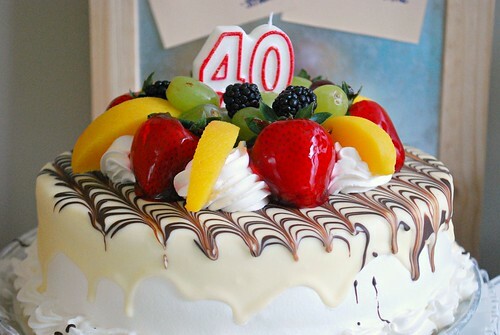 A tres leches cake seemed fitting for my birthday this year, which was topped with white chocolate and fresh fruit. 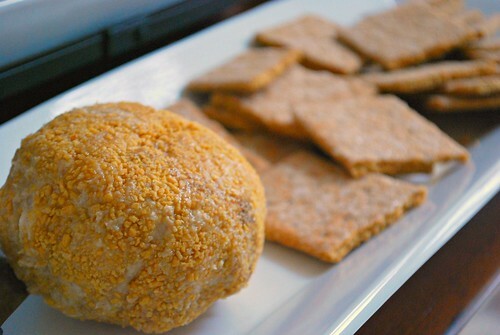 I also made a Dulce de Leche cheeseball, served with cinnamon graham crackers. Friends loved it and said it tasted like a caramel cheesecake. Recipe coming soon! To balance the sweets out, we had a fresh fruit salad as well. So fresh and colorful! 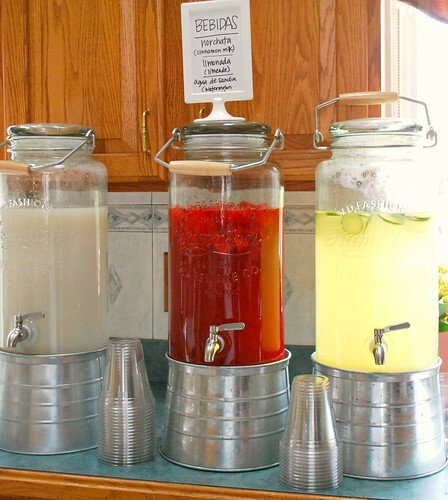 We had more drinks aside from the beers and in these dispensers, the bebidas included horchata (cinnamon rice milk), agua de sandia (watermelon juice), and limonada (limeade). 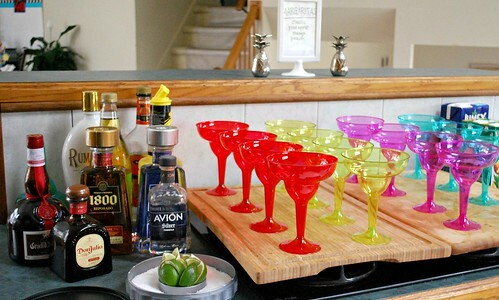 And here are the real party drinks - Margaritas! We made 3 pitchers of margaritas - pineapple, mango and peach. Guests were also welcome to make classic ones too. And quite a few folks lifted their shot glasses filled with Rumchata with birthday wishes for me lol. And a great shot of some friends just hanging in my favorite part of our house - the kitchen! Overall, it was a wonderful celebration. 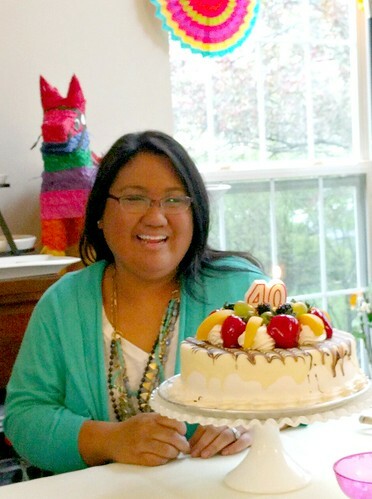 With friends, family and great food surrounding me, I wouldn't have wanted a better way to celebrate. 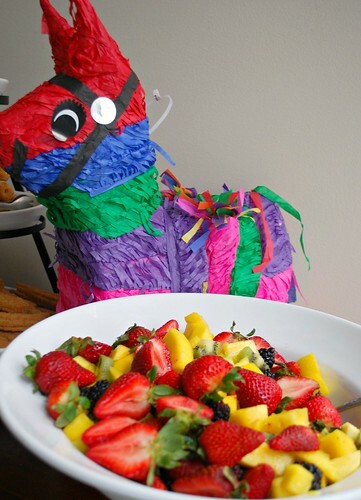 So party it up for Cinco de Mayo just as we did for my birthday this year!